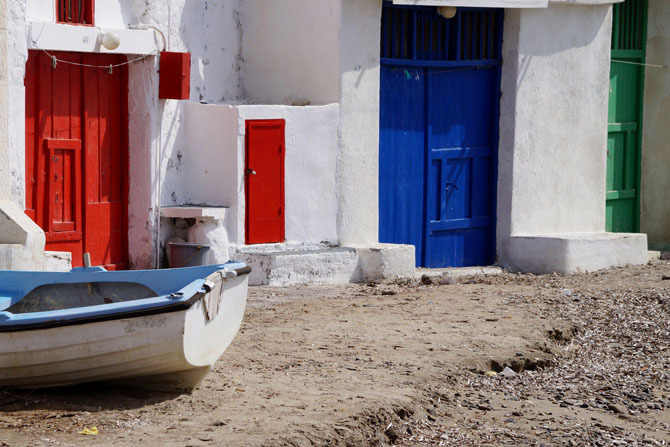 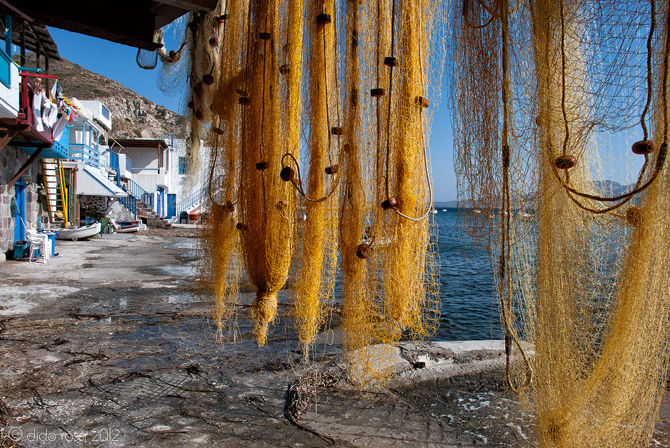 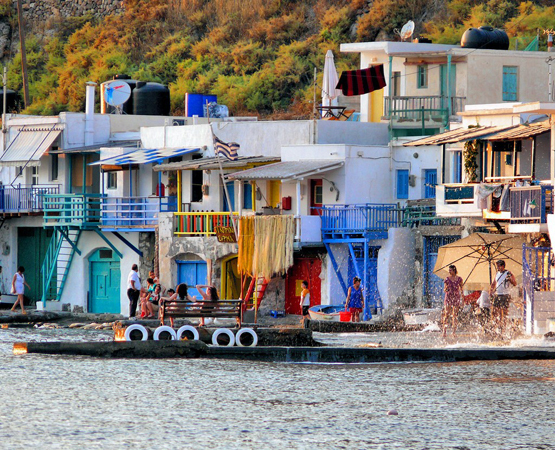 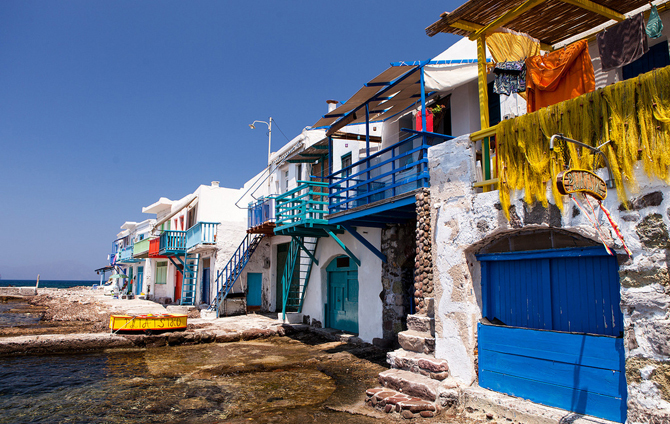 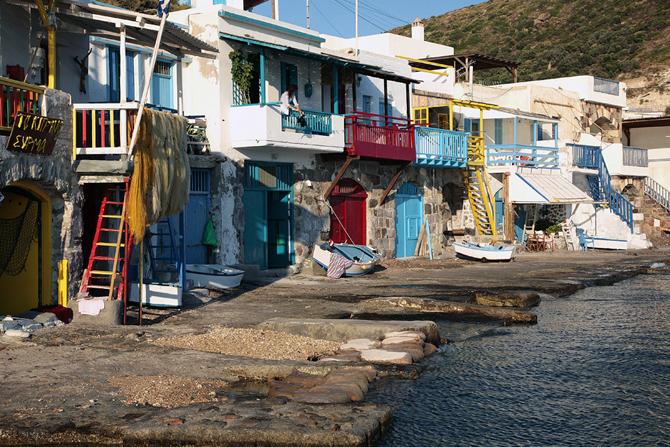 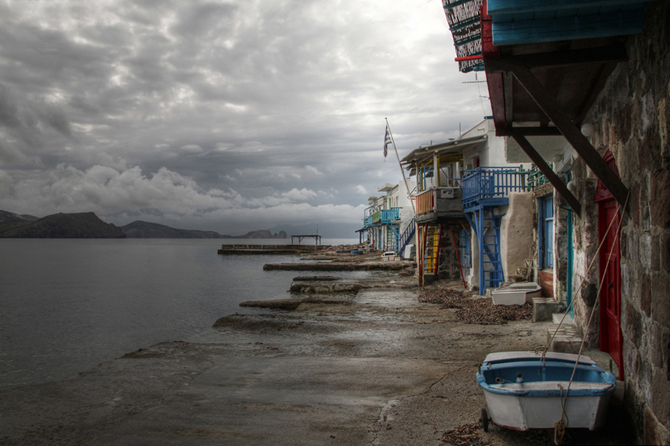 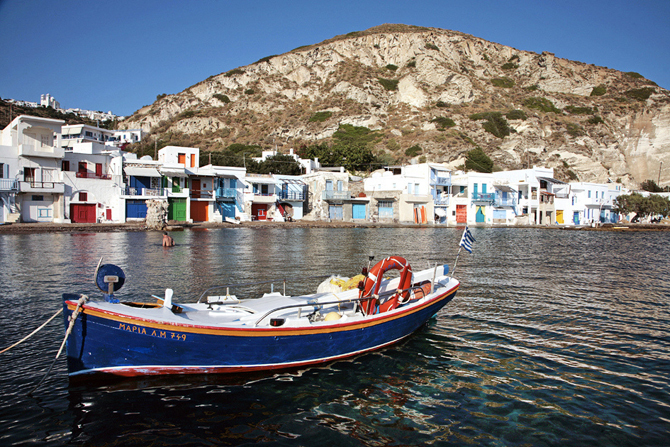 This is the most picturesque amongst all the traditional fishing villages of the island and the most photographed since the colorful “syrmata” next to the turquoise sea offer a colorful feast to the visitor. 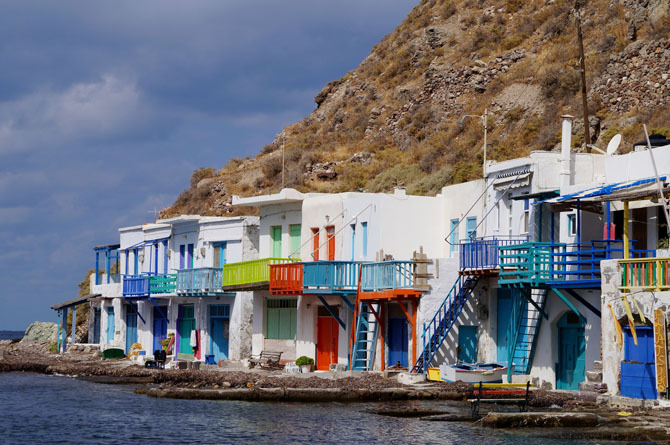 The buildings at Klima consist of two floors, the ground floor is for the “syrmata” and storage space while the top floor is where the people live. 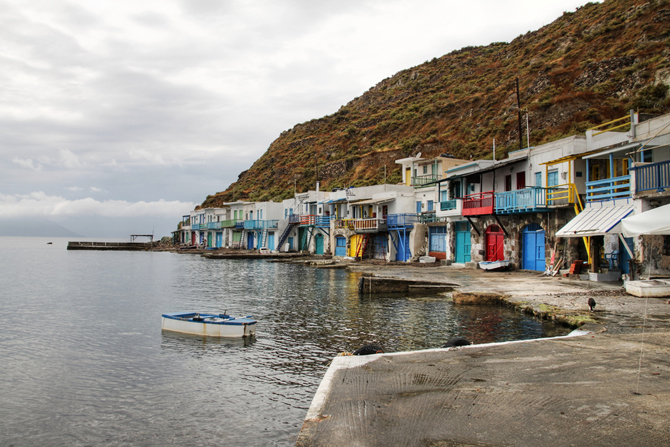 The “syrmata” (meaning ‘wires’) are dug into the volcanic rocks and so named because the fishermen would pull their boats in there during winter or bad weather in order to protect them. 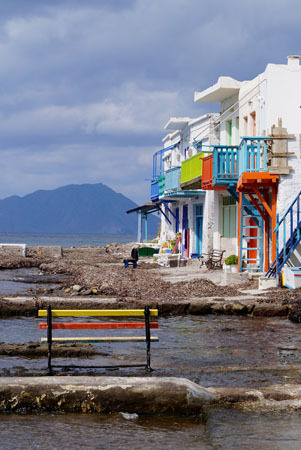 They are painted with bright colors, adding greatly to the traditional color of the island.